The Our World, Our Stories project has come to an end this week. It has been one of the most rewarding experiences of 2011 for my class. My grade two students worked with classes in the USA, Canada, Belize, New Zealand and Ghana to share their stories and learn about how others live. We used our blog http://ourworldourstories.edublogs.org as our central meeting place. For seven weeks, the students blogged, commented and conversed about a wide range of topics. 30 posts and over 700 comments were published. Seeing the students excited about learning. The beauty of this project was that it was authentic. Learning about other cultures by reading a book is no longer enough for today’s generation. Our students can now develop friendships and have ongoing conversations to learn about others. Seeing my students curious about how other people live and coming up with such a wide range of questions was a real highlight. Creating a joint reading of Mem Fox and Leslie Staub’s book Whoever You Are as one of our culminating activities. This picture book was perfect as the message was based around the idea that everyone in the world is different but we’re all equal. The most exciting part was that Mem and Leslie commented on our blog and brought such joy to our young students. This was truly a moment that many students will remember for life. Recording a song together to celebrate the friendships we’d made. All the classes had different interests but we found singing was a common highlight for many students. The ‘traditional song’ week was very popular. Linda Yollis and her music teacher, Mr B, were the masterminds behind our joint performance of Make New Friends. Check it out! Working with such dedicated and passionate teachers. As our students are quite young, the structure of this project was organised by the teachers with input from the students. It was a real pleasure to work with the other teachers who work so hard to create exceptional learning experiences for their students. This is was not the first time we have worked together and it won’t be the last. Being nominated for an Edublog Award and inspiring others. Our World, Our Stories has been nominated for Best Group Blog in the 2011 Edublog Awards. Vote here! It was also pleasing to see some teachers liked our idea so much that they created their own spin off! Update: we won! Find out more http://ourworldourstories.edublogs.org/2011/12/15/we-won-an-edublog-award/. Global collaborative projects are one of my very favourite aspects of teaching. I’m excited to see where global collaboration will take us in 2012! For those of you who have followed Our World, Our Stories, what has been your highlight? What have your students got out of collaborating with others? Perhaps the major highlight for me has been the very existence of “Our World, Our Stories”. It has allowed me a little share of classroom life I no longer have as a permanent teacher. I would like to thank all classes involved for allowing me to comment on the activities and learn from what you all shared. As usual, I can’t thank you enough for the time and effort you put into our students. They all talk about you as you are a teacher just down the hallway. Looking forward to your support on many new ventures in the future! The major highlight for me has been following along as this amazing project developed. I hope to share this with my teaching colleagues early next year as something for us to aspire to as we try to expand the walls of our school a little. Thanks very much for sharing all these ideas with those of us who are following along behind. We love having supporters like you to follow our journey. Thank you! I hope Our World, Our Stories inspires you and your colleagues to try something like this. The past seven weeks of Our World, Our Stories have been amazing. My students loved each topic and looked forward to sharing with their global buddies. Projects like this make the world feel like a much smaller place. We are fairly isolated where we live, but my students can definitely see beyond our classroom walls. Picking a highlight is so difficult. I guess if I had to choose one it would be watching everything come together during the final week. The song, the story, and the comments by Mem Fox and Leslie Staub are moments I will always remember. Looking forward to whatever may come next! Thanks for your great comment. It is so lovely that your students are physically isolated but virtually connected! Thanks for a great summary and reflection of the Our World, Our Stories global project! This coming together of classes exceeded my expectations, and I had some pretty high expectations! 🙂 As we have seen with other projects, the students are very interested in learning about and from their peers. My students looked forward to each week, and talked about the OWOS members as if we were all in one classroom…and we certainly are! It’s called a global classroom! I also enjoyed the variety of web 2.0 tools that were introduced to our students through the project. Everyone got to see that there are several ways to present information. Sometimes it was a PhotoPeach with pictures and text, other times a YouTube video- one using cc/captions, incredible greenscreen movies, a slide show with collaborative audio, and finally a group song! The learning for students took place on multiple levels. To read the story Whoever You Are and then have Mem Fox and Lesie Staub join in the conversation was thrilling! They were generous with their work and their time. I also liked that this event gave me a chance to teach my students that you may never just take someone’s work without first asking for permission. 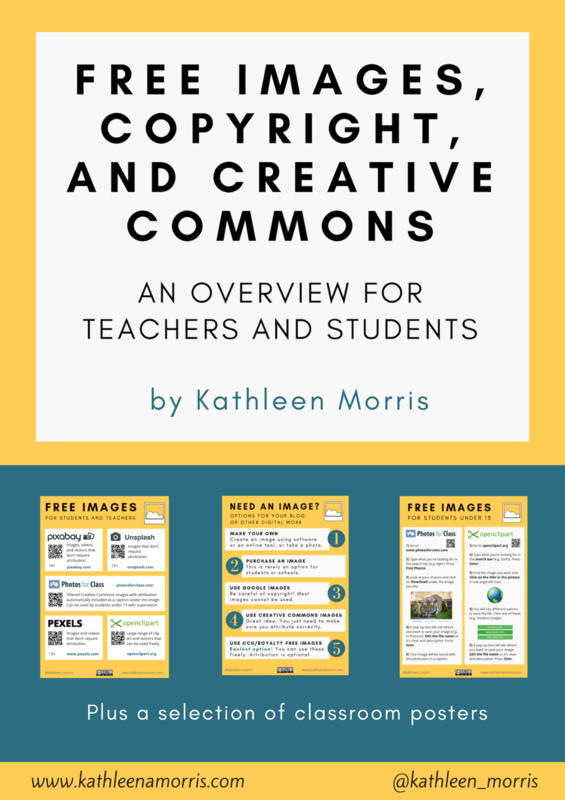 Those types of copyright lessons are necessary as we create and contribute to the Internet. I love music, so the the songs were a highlight for me! It is not uncommon for my students to start singing one of the songs we learned from our global friends. Last Friday, the kids wanted me to keep playing Make New Friend so they could sing along with their friends and their global teachers! It was magical! Finally, this project demonstrates to children the power of collaboration. Working together with other people is a fundamental skill that our children need to learn, and I think this type of project models it beautifully. The teachers and students working together, each taking a turn to lead, the responsibility of meeting a deadline, learning how to plan ahead and budget time…all valuable lessons! Thanks to all the teachers and students around the world who made this project so special! As usual, you added some powerful additions to my reflections! This is one of the reasons we work so well together. We build so well on each other’s ideas. You’re so right about web 2.0 tools. It is an important lesson for students to learn about ‘the best tool for the job’ and see web 2.0 tools as more than just a novelty. I agree about the copyright lesson. We were so lucky that Mem and Leslie were kind enough to give us permission as their book was just perfect. This morning Kel and I told our students what you said about modelling our collaboration with other teachers. I hadn’t really thought about that as being valuable before but it really is! Yes, what is next? I’m sure we have many seeds of ideas that will grow over our summer break. One of the aspects that I most enjoyed about this project was the learning involved for everyone, teachers as well as students. While the students were learning about each other’s lives, the teachers were having to push their skill boundaries and comfort zones (singing on-line for instance)! Having the project go over seven weeks enabled the children to build relationships with the other classes, which I think is an important part of getting student buy-in. Thanks so much for your comment. I agree about singing online, that was a first! The relationships that the students build are wonderful! From afar what I’ve learned is how important having passionate teachers are for getting these massive projects off the ground. All the members of OWOS deserve a hearty round of applause for what you’ve accomplished. It’s truely inspirational stuff! Thank you so much for your support! OWOS was a great experience for all! 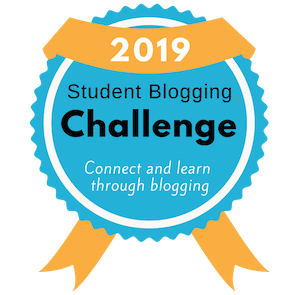 The Edublog Awards – Vote for us!